AMSTERDAM, Jul 27 2018 (IPS) - As the 22nd International AIDS Conference wraps up in Amsterdam, I can’t help but reflect on how far we have come on this journey with the AIDS epidemic. When I first qualified as a pediatrician in Zambia some 30 years ago, Southern Africa was only just awakening to the magnitude of the AIDS crisis starting to play out in the region. Some governments famously refused to acknowledge the severity of the epidemic and questioned even the existence of HIV and its connection to AIDS. Zambia had its moment of shocked awareness when the 30 year-old son of President Kenneth Kaunda died, and his father announced that the cause had been AIDS. Around us, the epidemic was taking its toll on the able-bodied as mothers and fathers fell ill and died, leaving their children – sometimes infected, sometimes not – in the care of grandmothers, or aunts, or orphanages, or to fend for themselves any way they could. We are a long way from that place now. What has made the difference? Availability and accessibility of treatment, of course, but perhaps even more importantly, concerted action from entire segments of society focused on bringing the epidemic under control. • Activists like ActUp, GMHC, South Africa’s Treatment Action Campaign, and others, who galvanized global outrage at the glaring disparities between global North and the global South. • The Governments of Brazil, South Africa, and India, which asserted the right to access for medicines by all, persisting in the face of implacable corporate resistance, till the pharmaceutical industry allowed generic versions of the treatments which inhibit HIV. • The numerous researchers who tested combinations of drugs, and adapted them for different populations, such as young children and lactating mothers. • The generic manufacturers who were able to combine drugs into fixed dose combinations that were affordable and accessible to poor countries. • And ordinary health workers, intergovernmental and to civil society organizations who believed that the epidemic could be defeated. Where are we now? 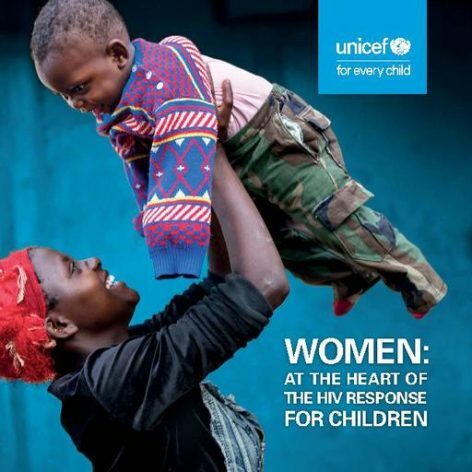 UNICEF’s latest report, Women: At the heart of the HIV response for children allows optimism. Take Southern Africa as an example. Some 57,000 babies became newly infected with HIV in 2017 in the region. This is still far too many, but infections in the region peaked in 2002 at 170,000, so this is a massive decrease in 15 years. Deaths in the region are also coming down, from a peak of 110,000 in 2004 to 33,000 last year. However, if there is one thing that came across very clearly in Amsterdam this week, it is that we cannot afford to let up. This is especially crucial for the children and young people who are now face to face with the virus. The child population is set to rise in sub-Saharan Africa, from 560 million in 2018 to 710 million by 2030. The region still has the overwhelming share of HIV/AIDS cases, and it is not coming down in key groups such as adolescents. So ‘youth bulge’ is about to meet HIV/AIDS – and that could be a cataclysmic crash. HIV/AIDS is not under control in West and Central Africa, which we project will overtake Eastern and Southern Africa by 2050 as the region with the highest number of new HIV infections – without urgent action now. What we know is that despite the progress, what has brought us here is not enough to take us all the way. We need passion and leadership, which served us well in the past, but we also need innovative technology – like the promising HIV self-testing which removes some of the barriers for adolescents. We need advances in treatment and prevention. We need to strengthen the human rights approach to HIV. All people, whatever their age, should have the right to the service that will keep them free of HIV or keep them healthy if they get it. And we need continued investment in programmes and people. Finally, we need bold and inspired leadership, infused with creativity, energy and optimism — a new generation of activist leaders, to tackle these challenges directly.